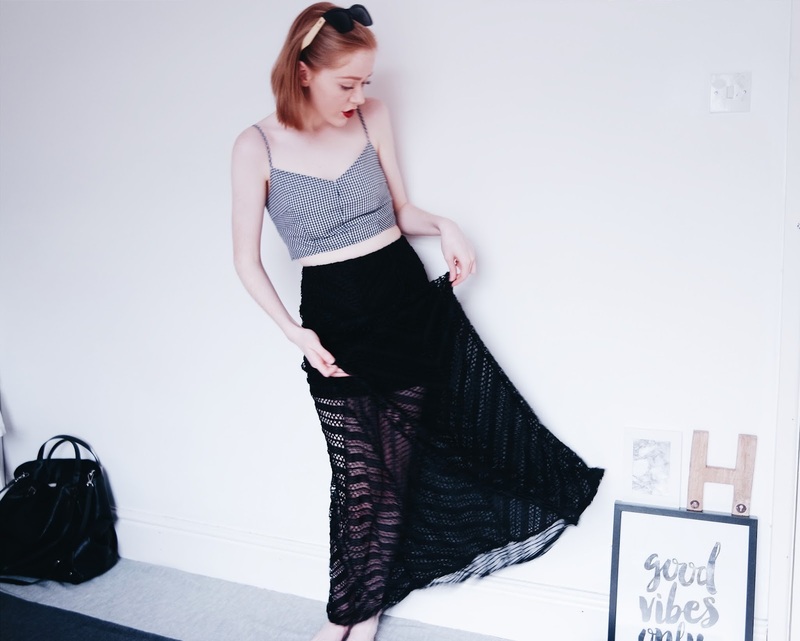 Rooting through the H&M SALE the other day, I stumbled upon this gorgeous skirt and knew that I had to make it mine. It was only £15, perfect for summer and is right up my street! I wasn't too sure if I'd be able to pull it off as I'm not one to usually show my legs at all but I thought I would give it a go! I styled it simply with a gingham bra-let and my HENNING Sunnies by Lines and Current. I added a red lip and left it at that... I always believe that less is more and I think that that really applies here with this skirt. I adore the crochet detail and the high waisted style - I always like high waisted pieces as I feel like they're the most flattering on me. How would you style this skirt? Let me know in the comments! Love ittttt, such a perfect outfit for British Summer! this skirt is absolutely gorgeous! love it!